Posted 5 weeks ago , 1 user is following. Hi guys. 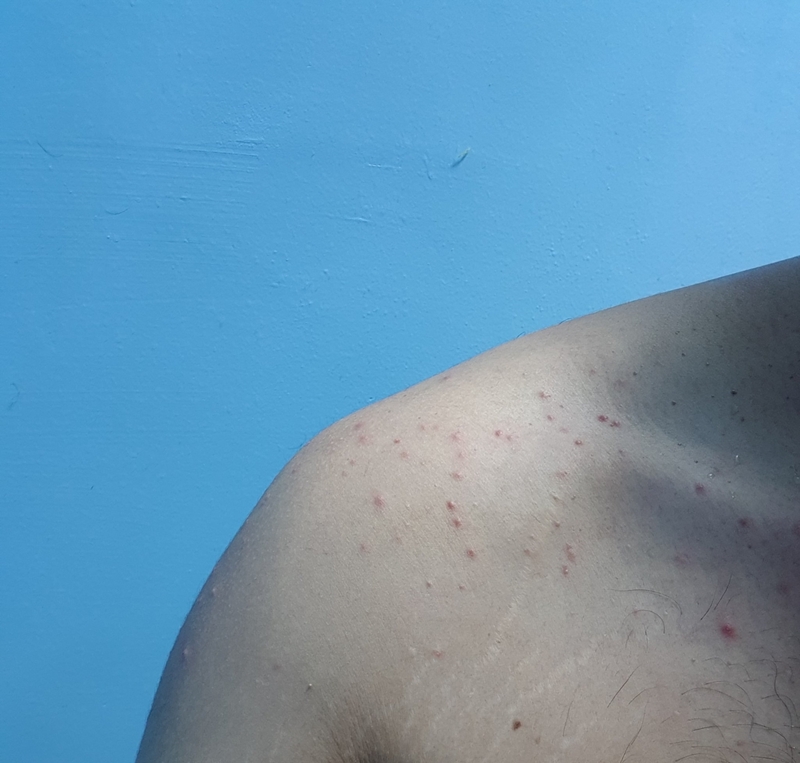 I traveled to Thailand 5 weeks ago, but 3 weeks ago itchy bumps started to appear on my arm and theres a lot of rash at chest. I was consuming fish oil and I thought its the culprit, my dr advise me taking pred and apply uniflex n cream, taking 4-5 days to make the rash gone. But every day new bumps appear. Did my blood test and thanks god its all normal. But the itchy bumps keep appearing. Sometimes appear at night, sometimes appear at daylight. Attached picture on my chest and arm for your reference. Someone please help me. Seeing dr and he keeps advise me to apply the uniflex cream but does not advise or giving any meds to stop the itchy bumps to grow. its really stress me out.